The key to implementing a successful organic lawn care program is consistency. Our Natural Lawn Care Program offers a patent pending seven step program that is customized to your lawn. Based on your lawns needs you can select one of our four standard programs to help your lawn reach its full genetic potential…with minimal use of chemicals. How can you improve upon the Platinum program? By doubling the application rate of our Compost PLUS for even better results! The ELITE program includes an application of the Compost PLUS at an 80 lb. application rate which is double the rate of the Platinum program. The ELITE program also includes a spring and fall tree and shrub program. When converting from a chemical approach or starting a lawn maintenance program for the first time we strongly suggest you start here. The Platinum Program is an all inclusive premiere program that is golf course and professional sports field quality. 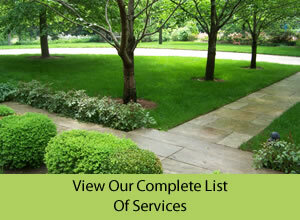 We truly believe this program is the best in the professional lawn care industry today! This program also includes an application of Compost PLUS. Because we believe aeration is such an important part of having a successful organic lawn we simply add this service to the program. 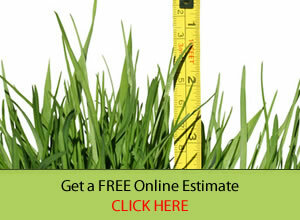 Your aeration will be performed at the proper time of year based on your type of grass. A seven step, liquid/granular based lawn care program that will not only feed your turf but convert your soil into an environment rich with organic matter and biological activity.